Track circuits play a crucial role in ensuring the safety of train movement. 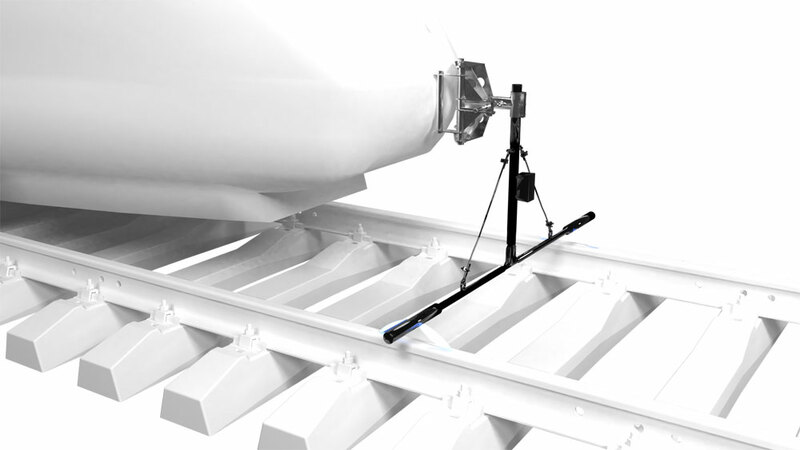 With their help, it is possible not only to determine the track occupancy, but also to monitor the rail integrity and the serviceability of the reverse hauling chain elements. The monitoring systems of the RATD devices are designed for high-speed monitoring of track circuits of railway automation and telemechanics. They inspect and evaluate the operation of signaling and control systems that railway transport is equipped with and estimate the amount of residual magnetic induction of rails during the train movement. The functioning of automatic locomotive signaling systems and automatic braking control is associated with the operation of track circuits. Talking into account such an exceptional significance of the track circuits, their parameters require constant monitoring. The proposed IVK-ALS complex, which has no analogues in Russia and CIS countries, will help in solving this task quickly and efficiently. The complex measures and monitors the operational parameters of automatic locomotive signaling systems and automatic braking control systems. 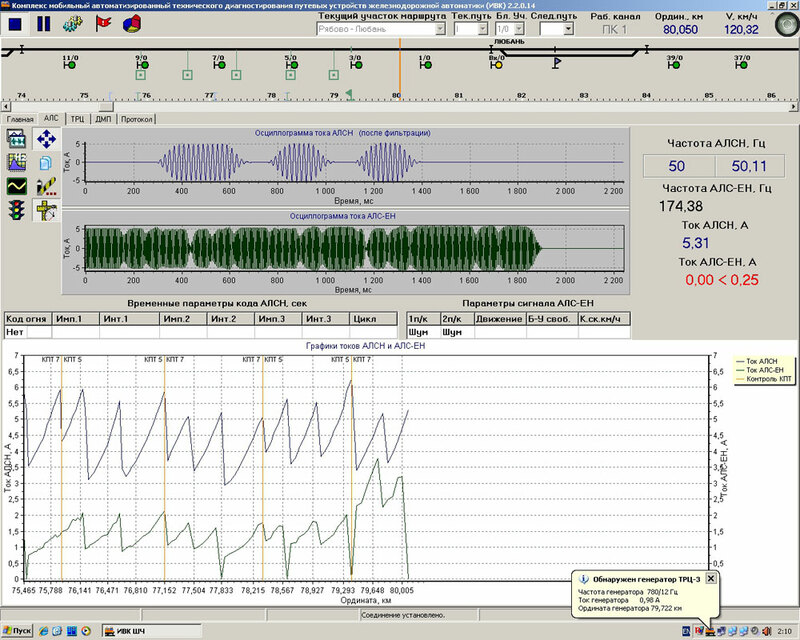 Simultaneously, it inspects the track circuits of the audio frequency. At the same time, the complex equipment provides measurement, display and registration of oscillograms, charts, amplitude, frequency and time characteristics of electrical signals in track circuits, on a real time basis. Separate monitoring and measuring channel operate for each type of data, and the data themselves are automatically registered and processed using a specially developed software package. 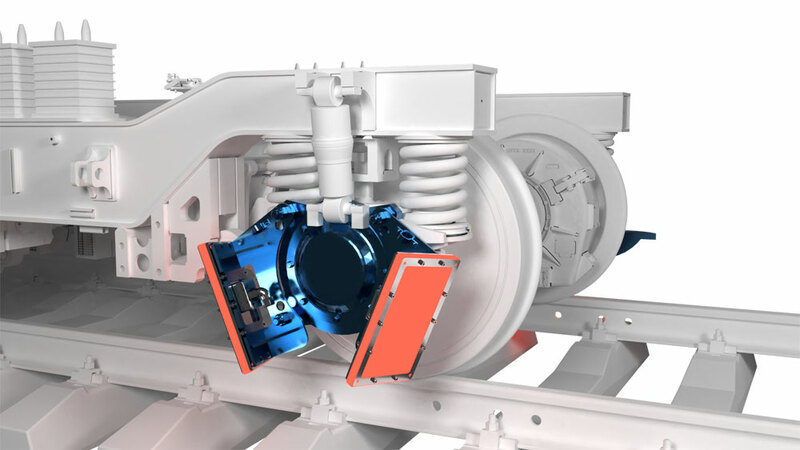 To prevent locking of the wheels during braking, the destruction of braking devices, the prevention of breaks in wheel disks and bands, special wayside devices for detection of heating axle boxes are used. Constant and effective verification of the parameters of these devices is provided by specialized complex developed by us. 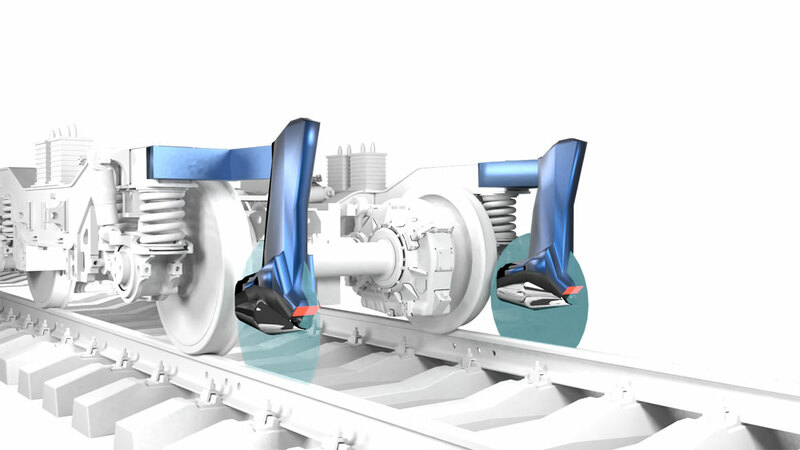 This development of the company is intended for the automated assessment of the condition of UCTM devices (upgraded complex of technical means) during the train movement. To do this, the heating of the axle boxes of the research train car is simulated, and the received results are registered, processed and analyzed by the computer complex. - The collected information is transferred to a stationary automated workstation for its further processing and transfer to a single industrial information space (in Russia, it is Russian Railways, OJSC). - The software makes it possible to create and edit the database of regulatory data, as well as to store and process measurement results, store and print charts, oscillograms and reporting documentation. Network of railways and subways of the Russian Federation and CIS countries.